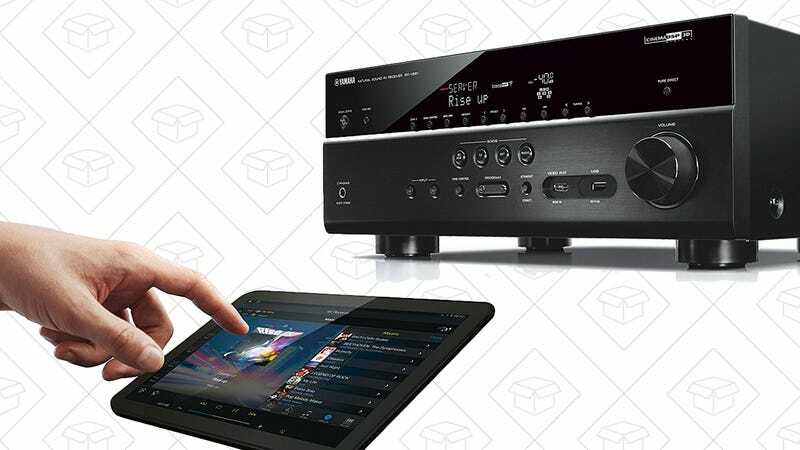 While integrated sound bars are increasingly popular options for home theater audio, if you like to kick it old school with a receiver and satellite speakers, this feature-packed Yamaha receiver is down to an all-time low $400 today, or about $200 less than usual. The Yamaha RX-V681BL includes five HDMI inputs, 4K passthrough support, Wi-Fi, Bluetooth streaming, 7.2 channels of audio output, and more. Basically, you’d have to have a really complicated home theater setup for this to not check all of your boxes.